Click on High School Equivalency Center. Then click on Prepare for the GED Test . 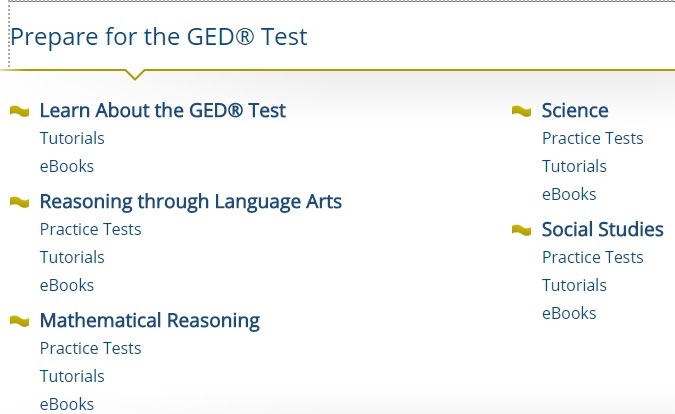 To take GED practice tests in Spanish, click on GED en Español. Then select the Practice Tests link under Reasoning through Language Arts, Mathematical Reasoning, Science, or Social Studies.